J. Peter Robinson (born J Peter Robinson, 16 September 1945, in Fulmer, Buckinghamshire) is a English composer who studied piano and composition at the Royal Academy of Music and enjoyed a successful career as a session keyboardist throughout the 1970s, working with artists such as Phil Collins, Mike Rutherford, Shawn Phillips, Quatermass, Carly Simon, Bryan Ferry, Stealers Wheel, Andrew Lloyd-Webber and others. 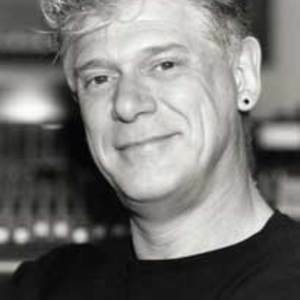 He made his film music debut as a solo composer in 1985, scoring a number of successful films including Cocktail, Blind Fury, Cadillac Man, Encino Man, Wayne's World, Wes Craven's New Nightmare, Highlander III: The Sorcerer, Vampire in Brooklyn, Rumble in the Bronx, and The World's Fastest Indian. Also contributed music to a number of acclaimed TV series, including The Wonder Years, Tales from the Crypt, Eerie Indiana, Charmed and The Handler.